Get ready for a night of greeting little creatures, funny characters, and spooky monsters with our trick-or-treating how-to guide! We’ll cover everything from how to spookify your candy bowl to how to dress up to how to decorate your yard so that it’s worthy of the scariest, candy-filled night of the year! First impressions are everything! Make the little trick-or-treaters ooh and aah and even let out a scream or two when they muster the courage to ring your doorbell. There are a ton of monster designs out there, but this one just involves paper bags and a little paint. Feel free to customize to make it as scary or sweet as you want. 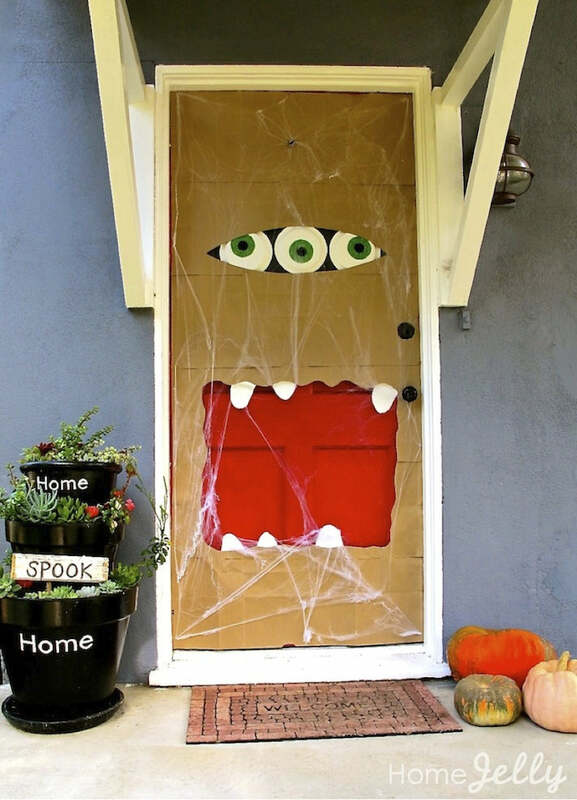 If you don’t want to do a full door wrap, there are tons of fun, thematic, and downright creepy wreaths you can make for your Halloween door. If scarecrows, hay bales, and corn stalks are more your speed, try the white wreath with the orange bow to complement your style. If you love Halloween and want to add even more spirit, go for the pumpkin designs. There’s enough here to keep you busy for all of October if you want to try them all! This light will say “Boo!” every time you turn it on. 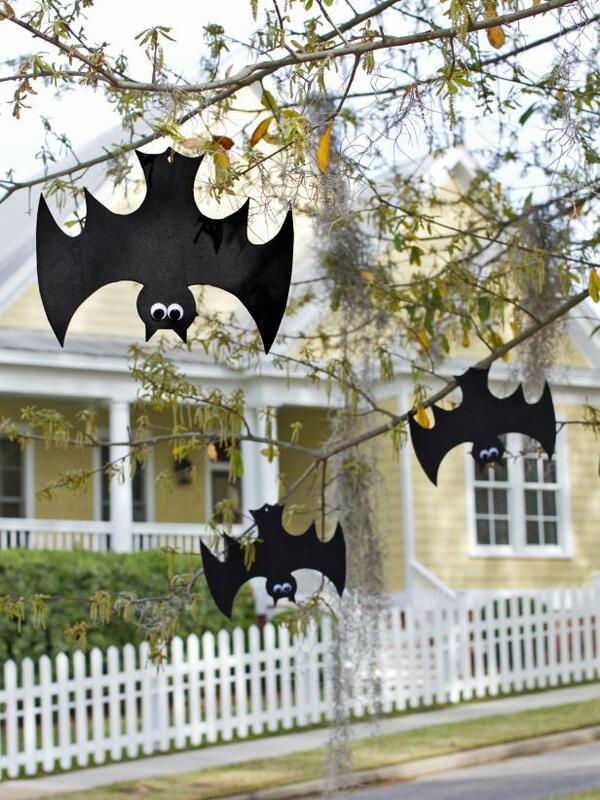 You can cut out your own little bats from black construction paper or use stickers bought from the store. Or, you can follow the directions from the genius creator. 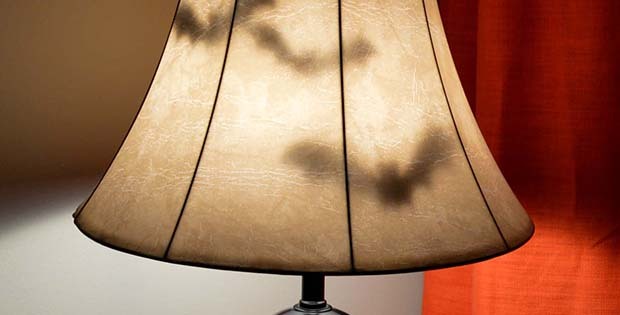 It’s small touches like these that can add a pop of unexpected fun in the form of shrieks and giggles at your next Halloween party—right “off the bat!” Here’s a bonus tip: Use this idea but on a larger scale but covering a spotlight with a heat resistant bat or spider cutout. Then, project it on your house on All Hallows’ Eve for a thrilling effect. 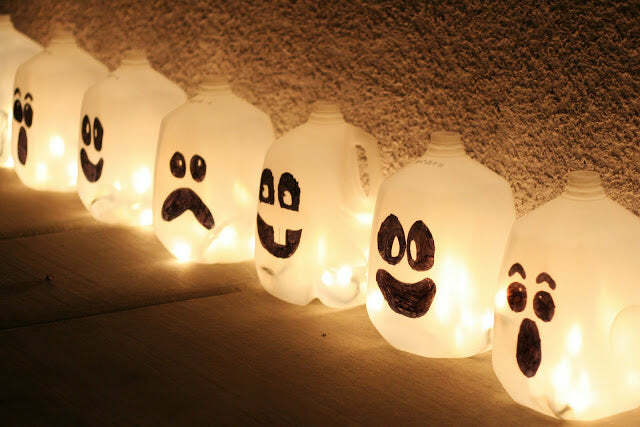 Used up plastic gallons of juice and milk can transform into haunting lanterns on Halloween! 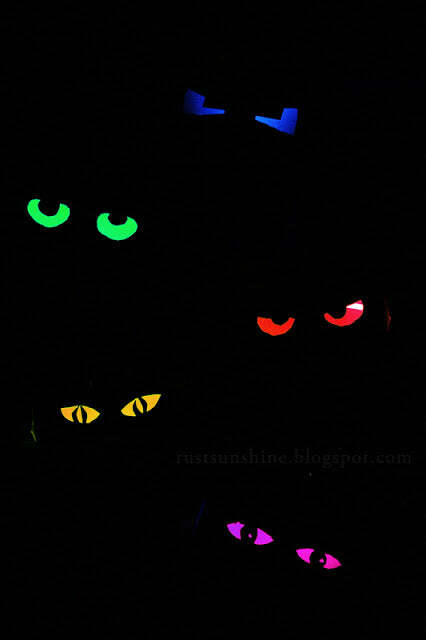 Fill them with water and glow sticks for a subtler, ambient lighting feel, or keep them empty and run string lights behind them. You don’t have to go with clear either unless you like the traditional ghost look. You can try black, purple, green, and orange too! This cardboard craft can transform your yard with just a few easy steps! Use a dark marker to draw wood grain on panels of cardboard, then tape or glue them together in a pattern that looks like boards nailed over a condemned house. You can add hands if you’d like, a “do not trespass” sign, and even shine a light behind the scene to make it even creepier. 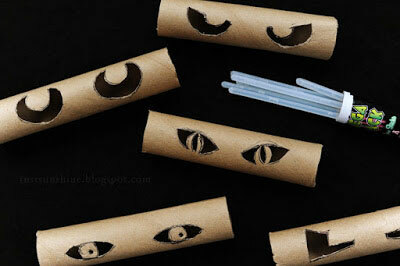 These sinister eyes are nothing more than strategically placed toilet paper rolls with glow sticks in them! Make your own and then nestle them into the nooks and crannies in your trees and bushes. 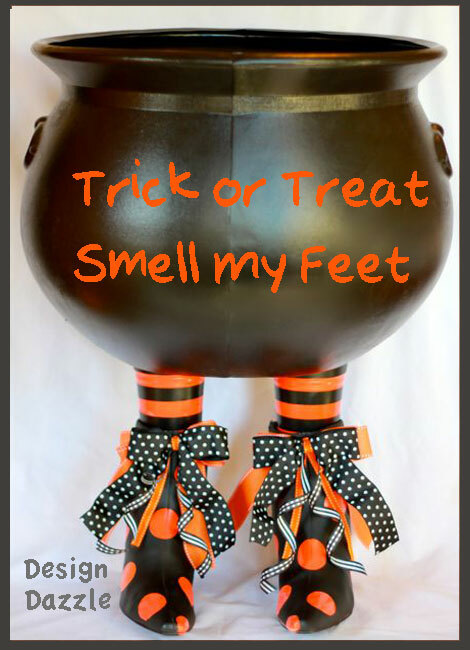 It’s a sure way to create a fun and frightening surprise for trick-or-treaters. 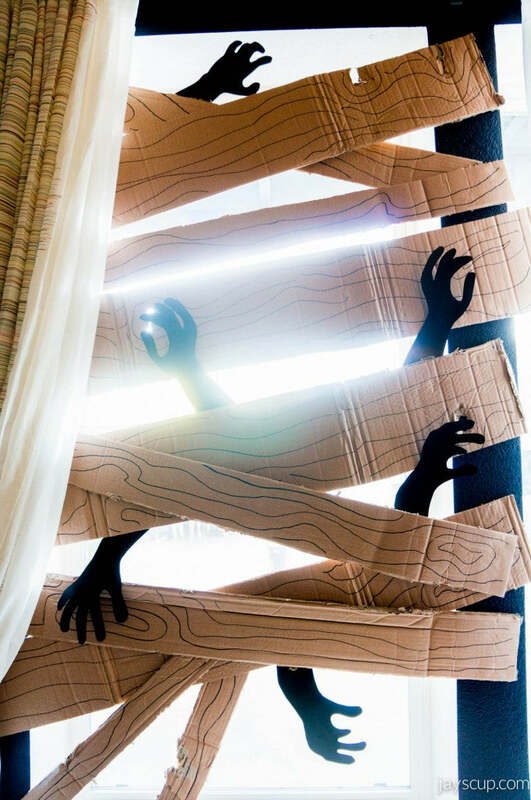 Draw the blinds, run a sheet of orange construction paper down the length of the window, and watch your Halloween stencils come to life as the sun goes down and the trick-or-treaters come up to your house. This is a great, cheap, and easy craft because you can use construction paper and tape to create any haunting silhouette you want! Try for black cats and full moons or witches and broom sticks. No matter what you choose, it’ll make a terrifying and fun impression on everyone who dares to enter. Boo! 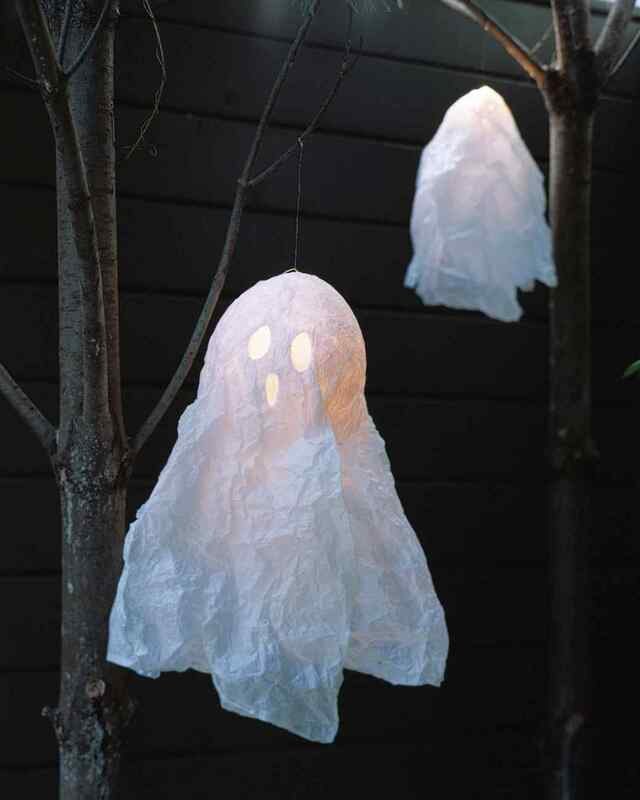 That’s exactly what these decorative, light-up ghosts shout when you lay eyes on them. With a few simple steps, you can make your yard a Halloween hit. Not only are they a great decoration that isn’t too scary, but they provide light to keep your walkway safer for little ones. Cast a spell with a clever candy bowl. Gather some broomsticks and set them out alongside this witch themed candy bowl and you’ll have a ton of delighted trick-or-treaters. The tutorial will explain exactly what you have to do to attain this wicked look, but as always, you can use your own creative flare to dress it up as you please. This witch candy bowl is a stunner and is also a great stand-in if you can’t be home all night to dole out candy. Hang out and enjoy the night. The bats are no longer in the belfry! With this DIY craft, you can bring the whole colony to your front yard. Gather some scissors, googlie eyes, string, and paper or felt to get this spooky craft on its way. Then, grab your step ladder and hang these night flyers up for their big Halloween night debut. Ditch the white picket fence. Set the mood before anyone even sets foot on your property! 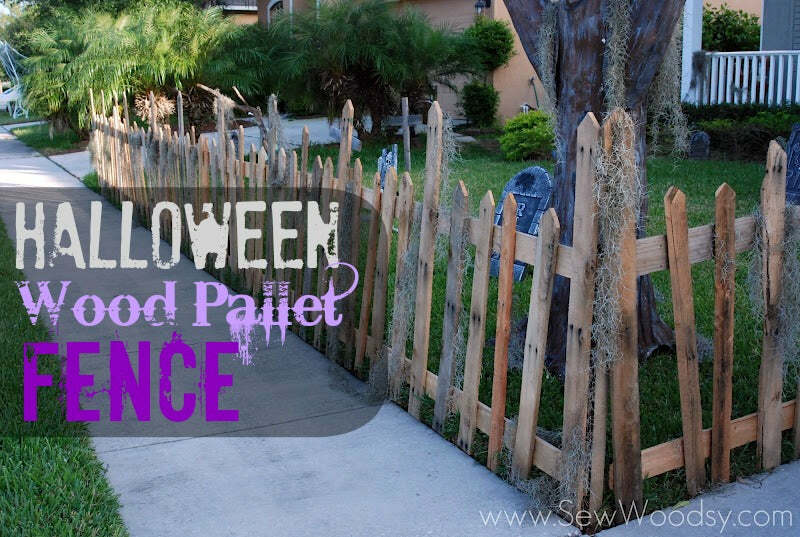 This DIY pallet fence is dilapidated on purpose to summon the scary feel you want your home to have on Halloween night. The best part is, most pallets can be found for free, so aside from some labor and nails, you’ll be able to build an awesome Halloween decoration without breaking the bank. The night of the living dead can come alive on your own porch! 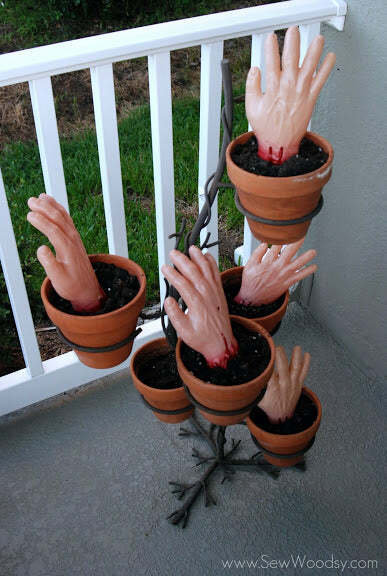 Order some plastic zombie hands or make your own from cardboard and stick them in empty planters. They’ll look like they’re crawling up from the earth and will give your visitors a fun fright. Don’t just answer the door in your jammies! There are so many ways you can dress up on Halloween that it’d be a shame to miss out on the fun. 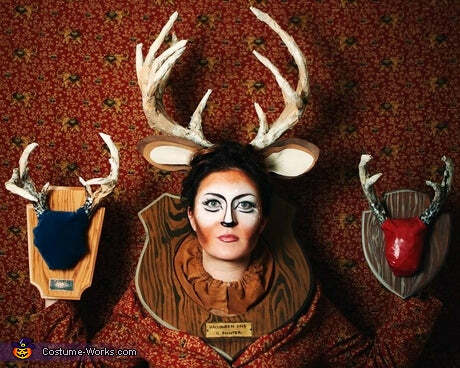 Check out these top adult costume ideas and see what you like best. They’re all DIY, so it’ll give you something to do during the beginning of October and show off on the 31! I had to do a double take for this one. Is she wearing wallpaper? What’s your best outdoor decoration? Leave us comments! I love your ideas and really loove the idea with the plastic gallons. Simple and effective and moreover we all have pile up lots of them at home!